Family Home Evening this week was on Chapter 8 of the Gospel Principles manual, Praying to Our Heavenly Father. June already loves to pray, to the extent where she will just jump right in as someone else starts praying, so I thought this was a great lesson to teach her why we pray. This is a longer lesson than I usually teach, but I felt it was important to ensure June understands prayer more fully. Lesson: Jesus taught us that, "Ye must always pray unto the Father in my name" (3 Nephi 18:19). Prayer is one of the greatest blessing we have while we are here because through prayers, we can talk to Heavenly Father and receive His guidance every day! Prayer is a sincere, heartfelt talk with Heavenly Father, and we only pray to Him (Exodus 20:3-5). Prayer helps us to draw closer to God. Everything we do, say, and think is influenced by our prayers. We should pray for strength to resist the temptations of Satan (D&C 10:5). 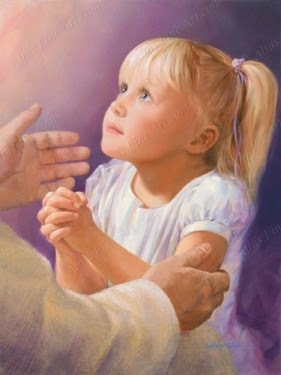 We should pray to repent, confess our sins to Heavenly Father, and ask His forgiveness (Alma 38:14). We should pray for the Lord's guidance and help in our daily lives. We should pray for our family, friends, anyone who needs help, leaders, our work, and our daily activities. We should pray for protection from our enemies (Alma 34:17-27). We should also pray to tell Heavenly Father we love Him and to thank Him for everything He has blessed us with (1 Thessalonians 5:18). 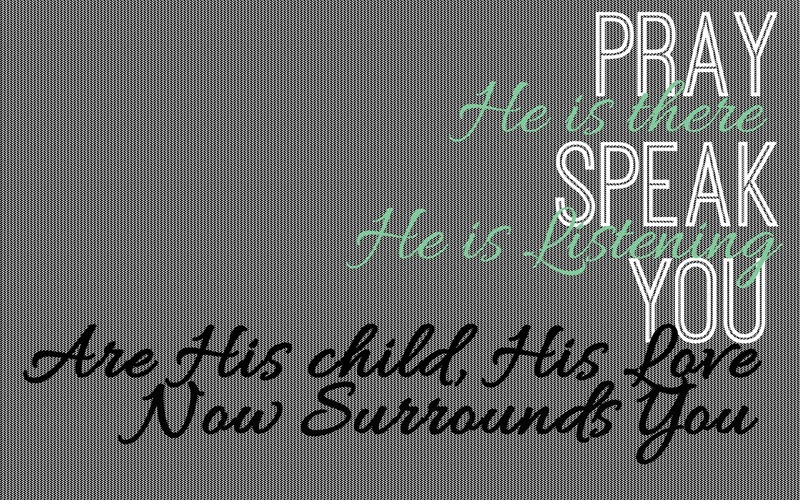 We should start our prayer by stating Heavenly Father's name like, "My Father in Heaven" or "Dear Heavenly Father." We then should thank Him for anything we are thankful for, especially all the blessings He has given us. Then, we should ask Him for blessings, strength, guidance, protection, comfort--anything we or those we are praying for need to live righteously. We should end our prayers in Jesus' name by saying, "in the name of Jesus Christ, amen." As we pray to Heavenly Father, we should tell Him what we really feel in our hearts, confide in Him, ask Him for forgiveness, plead with Him, thank Him, and express our love for Him. We should not just repeat meaningless words and phrases (Matthew 6:7-8). We need to remember that His will be done because sometimes we don't know what is best for us. Our sincere prayers are always answered. Sometimes the answer may be no, and sometimes the answer is yes and we have a warm comfortable feeling about what we should do (D&C 9:8-9). Sometimes the answer is wait. The Lord sometimes answers our prayers through other people, and sometimes He helps us answer our prayers ourselves. We need to learn to recognize the Lord's answers to our prayers in our own lives. 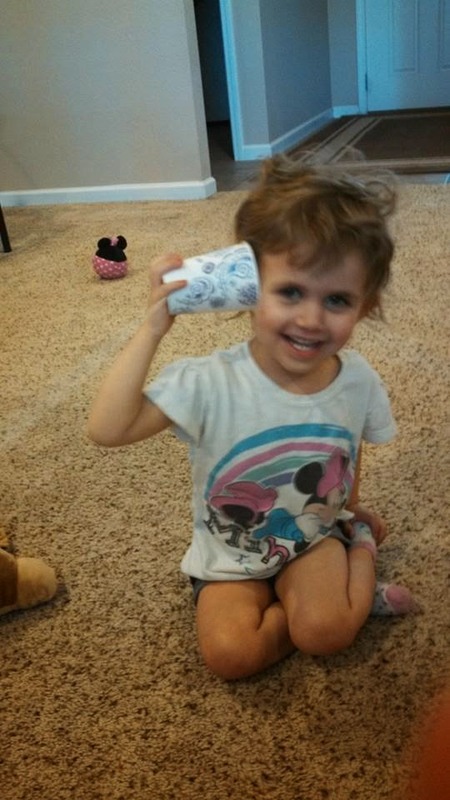 June loved playing with the cup phones. 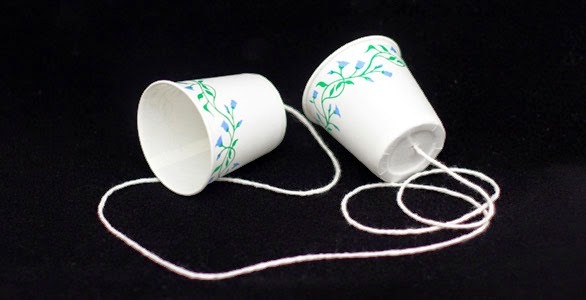 Activity: To show June that prayer is a way to communicate with Heavenly Father, we made paper cup phones. She really enjoyed hearing Mommy talk to her through the cup. I asked her to tell me what she is thankful for, then I asked her to tell me what she wants. In this manner, we were able to talk about things June could pray to Heavenly Father for. After the cup activity, June got to color a prayer flip chart which describes how to pray. She loves coloring and she liked to see her picture turn into a game.